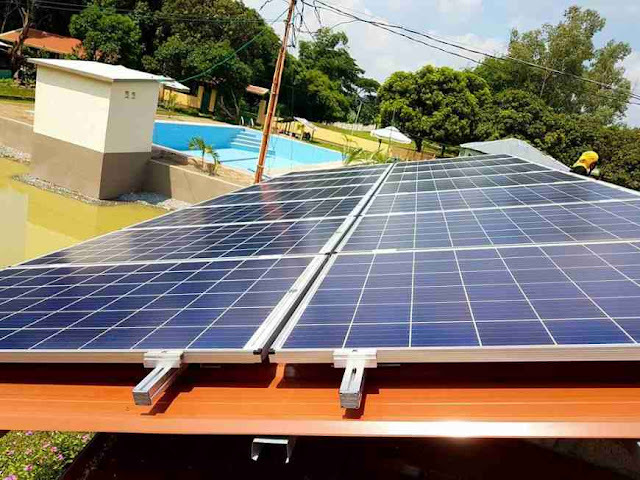 The Tarlac State University (TSU) successfully tested a solar-powered generator that was able to power all appliances in a residential unit. The multi-voltage solar power generator was able to pass its pilot test when it was launched by the Department of Science and Technology (DOST) in Barangay Ungot, Tarlac City. The project received funding from DOST Region III under its Grants-in-Aid (GIA) program. The solar generator provided power to air conditioners, electric lights, a refrigerator, a television set, electric fans simultaneously. The project was led by Prof. Rodel Botio of TSU and DOST Region II added that similar projects are also ongoing in two other state universities. These are Don Honorio Ventura Technological State University (DHVTSU) in Bacolor, Pampanga and at the Aurora State College of Technology (ASCOT) in Baler, Aurora. DOST Region III is encouraging and supporting similar projects on renewable energy by state universities and colleges in the region. This will contribute to the modernization of the agriculture, health, environmental and industrial sectors. Discussing the pilot testing, Prof. Botio claimed that the solar powered generator can provide bot Alternating Current and Direct Current at 220V and 12V respectively. The pilot testing of the project on a residential unit brought decreased the electricity bill from Php6,000 to Php1,500 in 1 month. A similar solar DC power unit being tested in Munoz, Nueva Ecija is providing electricity for up to 6 electric light bulbs and one electric fan. The house is 100% powered by solar energy. Through its GIA program, the DOST provides assistance to local government units and the academe to implement projects and conduct research that will benefit the marginalized people in the communities.